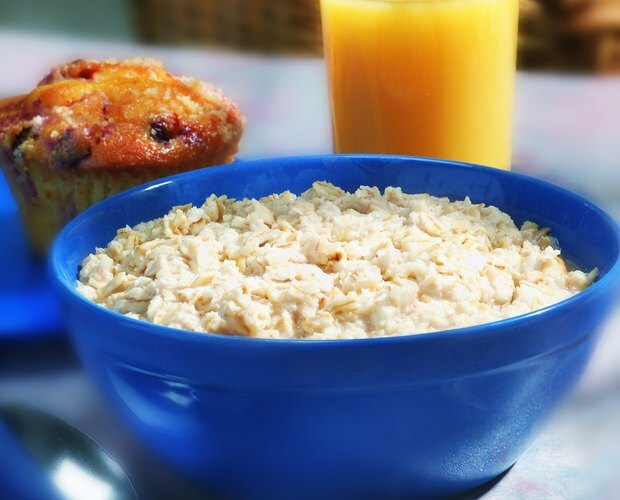 Oatmeal makes a filling and delicious start to your day. However, those who are conscious about their starch intake might want to reduce the amount of starch they're receiving from their grain-based breakfast. 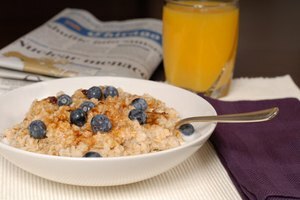 Steel-cut oats are whole-grain oats, and are very chewy due to their starch content, which is higher than that of other oat varieties. 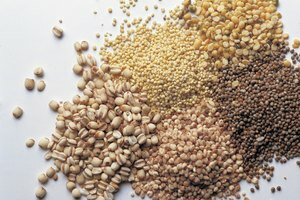 While you cannot remove all of the starch in steel-cut oats, you can reduce the amount of starch you ingest by soaking and slow-cooking the grains. If you are very concerned about starch, consider enjoying other varieties of oatmeal that are less starchy. Measure out your desired amount of oats and place them in a bowl of water. Allow the oats to soak overnight. This will soften the starchy core of the oat, making each grain less chewy and neutralizing its natural acid. Add one part soaked steel-cut oats to four parts fresh water and boil until the porridge begins to thicken. Reduce the heat and allow the mixture to simmer for 30 minutes, stirring occasionally. 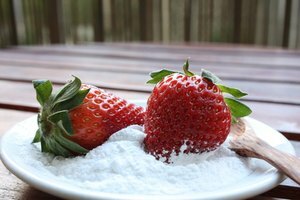 Heat helps turn starches into sugars, and slow-cooking will allow the starch to turn into sugar slowly. 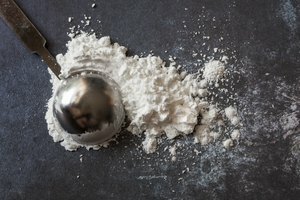 The slow conversion process will keep you from experiencing a sudden spike in your sugar intake, which can have negative effects on your health.